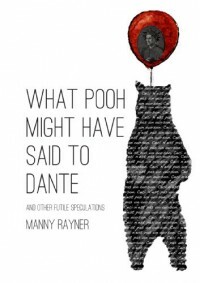 I've read enough of Manny's reviews, and understood a handful of them (owing to the fact that I am fractionally as well read as the author and sadly monolingual), so I feel confident in stating this is a book I would enjoy. Will you enjoy this? In a word, no, unless you are a masochist. Reason: not enough pictures. If you are a masochist, you will find neverending pleasure in this collection. The reason for the latter being that each time you don't understand a passage, you will receive an electric shock. I'm not sure how this feature was managed, but I can say imbecile masochists are likely to take the most pleasure from this aspect of the collection, while moderately intelligent folk are likely to find it an occassional distraction. For my part, I'm neither a masochist nor moderately intelligent, but I managed to understand enough to enjoy the book, even if I now walk with a slight draw to the left.